Gallagher is one of Australia’s – and the world’s – largest insurance broking and risk management companies. We’re the broker of choice for more than 12​0,000 Australian businesses – from micro-SMEs through to multinational corporations and iconic brands. In Australia, Gallagher has over 25 regional and metropolitan branches – including our Professional Associations team. Gallagher Professional Associations is the broker of choice for more than 170 associations across a diverse range of professions. We also offer tailored insurance solutions to specific industry groups, including tattoo artists, beauty therapists, accountants, real estate agents and property valuers. 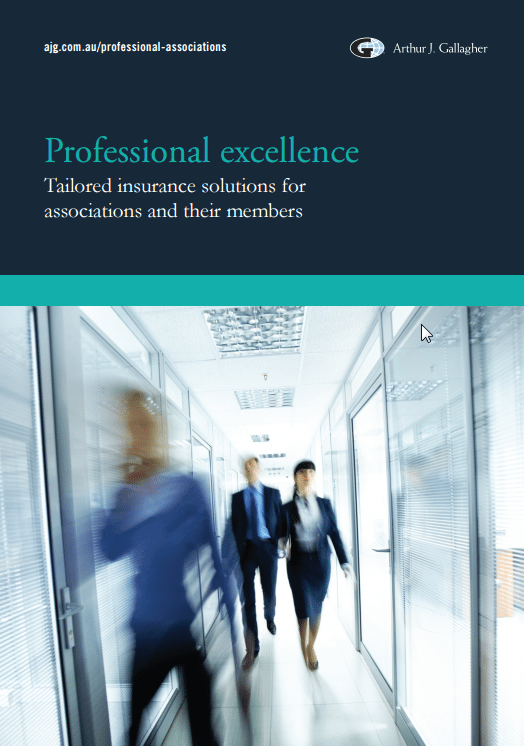 You can download our Professional Associations capability brochure here. Access1st Professional Benefits is the trading name of Arthur J. Gallagher & Co (Aus) Limited ABN 34 005 543 920, AFSL No. 238312 of Level 12, 80 Pacific Highway, North Sydney NSW 2060.